DURHAM, NC--(Marketwired - February 23, 2016) - Maintaining good relations with your customer base is a critical part of your business operations. Principled Technologies tested a Dell PowerEdge FX2 with FC830 servers running customer relationship management system software from Microsoft. 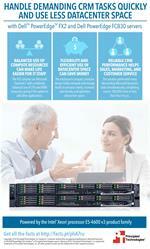 They found that the Dell solution could deliver consistent performance with balanced resource usage and room to grow. 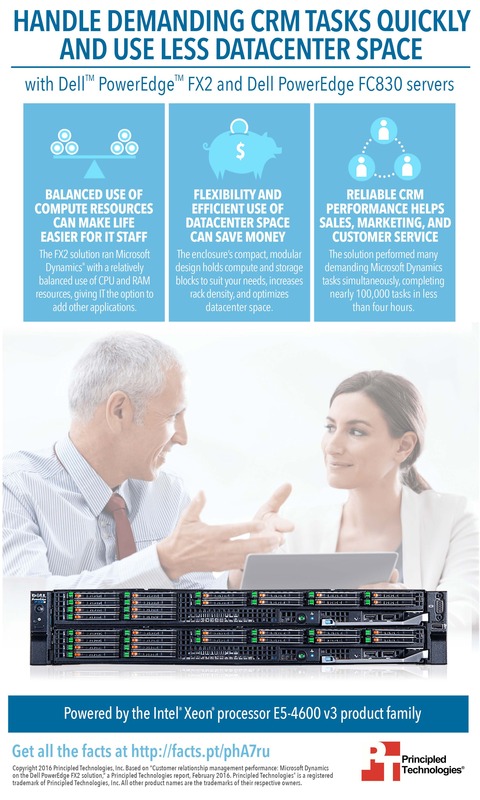 To learn more about the space-saving Dell PowerEdge FX2 with Dell PowerEdge FC830 servers, read the full report at facts.pt/phA7ru and see the infographic at facts.pt/4ReSte. Principled Technologies, Inc. is located in Durham, North Carolina, in NC's Research Triangle Park region. 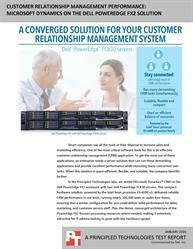 For more information, please visit www.PrincipledTechnologies.com.